The program is outstanding. First of all, it includes a new, commissioned work, written especially for the two performers, and for the occasion of celebrating the centennial of Stravinsky's The Rite of Spring. It was composed by Marc-André Dalbavie and is called Three Melodies on a Poem of Ezra Pound. Also part of the program are Mussorgsky's The Nursery (it opens the recital, then we have the above piece coming second), then Ravel's Histoires Naturelles, Op. 50, followed by an intermission; and it concludes with Rachmaninov's Six Songs, Op. 38, and Bartók's Dorfszenen. Now, let's talk about the extraordinary mezzo Ms. Kožená. Children: two sons, Jonáš and Miloš, approximately 8 years old and 5 years old. Next in: the above recital, which is part of her American tour that started in Baltimore on February 17, and next moves to Carnegie Hall in New York City on February 23. The singer will then be seen at the Festspielhaus in Baden-Baden, Germany, from March 23 through April 4, and in Berlin at the Schillertheater on April 12. Then, she goes back to the Czech Republic to sing there in May and June. Magdalena Kožená studied at the Brno Conservatoire with Neva Megová and Jiří Peša (voice and piano, from 1987 to 1991) and with Eva Blahová at the College of Performing Arts in Bratislava (from 1991 to 1995). She was awarded several major prizes in both the Czech Republic and internationally, culminating in the 6th International Mozart Competition in Salzburg in 1995. 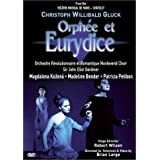 Operatic engagements have included Octavian in “Der Rosenkavalier”, Mélisande in “Pelleas et Melisande,” and Lazuli in “L’Etoile” for the Deutsche Staatsoper Berlin; Gluck's "Orphée" with Gardiner in Paris; Nerone (“L’Incoronazione di Poppea”) with Minkowski in Vienna; Mélisande in Paris with both Bernard Haitink and Marc Minkowski; Cherubino in Aix-en-Provence and Munich; Sesto (“Giulio Cesare”) in Amsterdam. At the Salzburg Festivals her roles have included Carmen with Rattle, Zerlina (“Don Giovanni”) with Harnoncourt, Idamantes with Norrington and Rattle and Dorabella with Rattle. At the Metropolitan Opera she has sung Melisande with Rattle, Varvara (“Katja Kabanova”) with Belohlavek and Cherubino, Dorabella and Idamantes with Levine. For the Royal Opera House Covent Garden she has sung the title role of “La Cenerentola”. Magdalena Kožená is well established as a major concert and recital artist. Recital appearances have taken her to London, Paris, Brussels, Berlin, Amsterdam, Vienna, Hamburg, Lisbon, Prague, Copenhagen, Tokyo, San Francisco, and New York’s Alice Tully Hall and Carnegie Hall. She has also appeared at the Munich, Salzburg, Lucerne, Schwarzenberg Schubertiade, Aldeburgh and Edinburgh festivals. Her pianists include Daniel Barenboim, Yefim Bronfman, Malcolm Martineau, Andras Schiff and Dame Mitsuko Uchida. Her concert appearances include the Berlin Philharmonic Orchestra, the Orchestra of the Age of Enlightenment, the Rotterdam Philharmonic, and the Philadelphia Orchestra with Sir Simon Rattle; the Royal Concertgebouw Orchestra with Mariss Jansons, the Lucerne Festival Orchestra with Claudio Abbado, the Czech Philharmonic Orchestra, the Chamber Orchestra of Europe and the Scottish Chamber Orchestra with Sir Charles Mackerras and Robin Ticciati, the Wiener Philharmoniker with Daniel Harding and Sir Simon Rattle; the Accademia Santa Cecilia with Myung-Whun Chung and the Simon Bolivar Youth Orchestra of Venezuela with Gustavo Dudamel. In 2003 she was awarded the title of Chevalier de l’Ordre des Arts et des Lettres by the French Government. Her discography is extensive and by now includes approximately 29 CDs. "Magdalena Kozená's silken mezzo delivers definitive interpretations of this luscious and enchanting orchestral-song repertoire. Magdalena Kozená, Sir Simon Rattle, and the Berliner Philharmoniker seduce in Ravel's Shéhérazade, stir and awe in Dvořák's austere Biblische Lieder, and render to the fullest the bittersweet potency of Mahler's intricately orchestrated Rückert Lieder. Recorded live at the Berlin Philharmonie, these performances excite with the intense musical understanding shared by this husband and wife musical dream team. This release is destined to rival the popularity of Kozená and Rattle's enthralling Mozart collaboration. This is the first in a new series of recording projects reviving the legendary partnership between DG and the Berliner Philharmoniker." 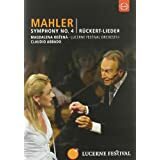 Also recent are her CDs of Mahler with Boulez, and “Lettere Amorose” an album of early Italian and Spanish baroque with the ensemble Private Musicke. Her first solo recital disc of Dvořák, Janáček and Martinů won the Gramophone Solo Vocal Award, 2001. 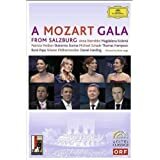 Recent recordings with DG include Mozart, Gluck and Myslivecek arias with the Prague Philharmonia and Michel Swierczewski; French arias with the Mahler Chamber Orchestra and Minkowski; Gluck’s “Paride ed Elena” with the Gabrieli Consort and McCreesh; an acclaimed disc of cantatas by members of the Bach family (“Lamento”) with Musica Antiqua Koeln and Reinhard Goebel, a Mozart album with the Orchestra of the Age of Enlightenment and Sir Simon Rattle, a Handel disc and a Vivaldi disc with the Venice Baroque and Andrea Marcon and a recital disc with Malcolm Martineau “Songs my Mother taught me”. She was the 2004 Gramophone Awards Artist of the Year and in 2009 she received a Gramophone Award for her recording of the “Julietta” Fragments by Bohuslav Martinů with Sir Charles Mackerras and the Czech Philharmonic Orchestra. Her recording of Bach's “Matthäw-Passion” has been nominated for the BBC Music Award. © Opera Lively - Disclaimer: this exclusive interview is copyrighted by Opera Lively with all rights reserved, and is not to be reproduced without express authorization. Brief excerpts can be used after consultation (use the Contact Us form) as long as proper credit and a link to the full interview on Opera Lively are provided. Links to the interview can be posted without authorization. All photos were used with permission of the artist, and fully credited. Credits - Questions by Opera Lively journalists Mary Auer and Luiz Gazzola. The interview was done in person on 2-19-2013. Editing/Proofreading by Opera Lively staff member Natalie Greenly. OL - Let’s start by asking about this recital at the UNC Memorial Hall, which you also just did in Baltimore and will do at Carnegie Hall. Part of it was commissioned to commemorate the 100th anniversary of Stravinky’s The Rite of Spring, as part of a series of concerts with this common theme that have been happening throughout this season at UNC Memorial Hall. Can you please tell us about the program, and how you made your selections of the music you are bringing to us? [Editor’s note – program reminder: Mussorgsky - The Nursery; Marc-André Dalbavie -Three Melodies on a Poem of Ezra Pound (2013); Ravel - Histoires Naturelles, Op. 50; Rachmaninov - Six Songs, Op. 38; Bartók – Dorfszenen]. MK – I chose this repertoire, among other factors, in respect to which pianist I’m having. Of course, I’m having probably the best pianist I would ever be able to have, in the person of Mr. Yefim Bronfman. I wanted to do some Russian repertoire since Stravinsky comes from that part of the world. Especially Rachmaninov, because the piano part in the Rachmaninov songs is as difficult as any piano concerto by Rachmaninov, and there aren’t many pianists in the world that can play it this way. The Mussorgsky that opens the first half is a fantastic piece of music. It is very much like a recitativo type of mini-song cycle. It’s about a little child talking to his nanny – actually in some parts it’s a girl, in some parts it’s a boy. It is very charming, with a very special musical form. The third piece also in the first part is the Ravel, Histoires Naturelles, which again has this recitativo style of songs, talking about animals and the resemblance of certain animals to people. It’s very important for the audience to have the booklet with the text to read, because some of the lyrics are very funny and witty. In the middle of the first half, it’s where we put this new piece by Marc-André Dalbavie which is very atmospheric. I think it’s a nice counterpoint to these two sparkling, brilliant song cycles. I’ve mentioned the Rachmaninov that comes after the intermission, and then the Bartók is very much close to where I come from, because he actually arranged Slovak folk songs. I come from the Czech Republic, but the Slovak language is extremely close to the Czech language, and also, I studied in Bratislava which is the capital of Slovakia. So, these songs are extremely familiar to me. I’m singing them in the Slovak language. There are two possibilities; it is also possible to sing them in Hungarian, but they were originally Slovak songs, so singing them in Slovak is even more authentic. OL – I understand that Mr. Dalbavie has written this second piece specifically for you and Mr. Yefim Bronfman. Can you please tell us about it? It’s new music. You are a Baroque specialist. Is there a place in your heart for contemporary music? MK – Yes. First of all, I think it is important to do modern and contemporary music, to somehow carry the future of classical music. Another aspect also is that it is very special if somebody writes a piece for you. I have already done a cycle of songs by Brett Dean, a brilliant Australian composer who wrote them for me. See, we sing today a piece by Mozart, for example, but often he wrote it with his thoughts in some specific singer of the time. Many of the opera composers had in mind special singers or voices that they liked. So, when we sing this music, we have a bit of disadvantage because it wasn’t done for us. We are at a disadvantage regarding pop singers as well, who get songs made for their skills and their voices. I find it very refreshing when something is written for me and I can say to the composer, “look, this doesn’t sit very well for my voice, can you just change it?” We can work together with the composer and get the best fit for our personality and our type of voice. It’s very thrilling work to do. OL – You did sing the role of Mélisande, which is not contemporary but is modern and innovative. Do you find it more vocally challenging than your other roles? MK – No, I have some trouble thinking of Débussy as modern… [laughs]. In a way, it was written a very long time ago, and now we can look back and call it a very classical piece [laughs]. Of course it takes longer to learn than a Handel role. Memorizing the harmonies is more complicated. But at the end, I love very much this type of music that tells a story like a narration. It’s speaking to people rather than just singing simple melodies. Take Italian opera, for example. I love it, but I’m not the hugest fan of bel canto. I mean, it’s beautiful, but for me, for my character, it doesn’t go that deep. It’s more about the beauty of the voice and the line, but what I’m more after, is to say something interesting in terms of drama and text, so I do love modern and contemporary music. OL – How do you relate to such an enigmatic character as Mélisande? MK – I like not only singing Mélisande, but also playing Mélisande, because she can be a lot of different things, depending on the director. We don’t know where she is coming from. We can’t guess much about her past. But there are little clues and it is all very symbolic, in a way. So, everybody sees her differently. I like very much to interpret her a little bit differently, each time, and to find some hidden meanings there. It’s a very interesting character, for me. OL – Let’s talk about your homeland, a little bit. I was there last summer in your beautiful capital city, Prague, and I interviewed mezzo-soprano Ms. Jana Sykorová who was in the title role of the contemporary opera The Elephant Man, and contemporary composers Mr. Martin Smolka (of the opera Nagano) and Mr. Marko Ivanovic (of the opera Enchantia) who is also a conductor and has conducted an orchestra in your hometown, the Brno State Philharmony Orchestra. Do you happen to know any of them or their music? MK – I know their names, all three of them, but I’ve never met them in person and wasn’t able to get familiar with their music, since now I live in Berlin and I’m unable to spend as much time in the Czech Republic as I would like. OL – How is opera doing in the Czech Republic? MK – Like in a lot of places, not only opera but culture in general is suffering with the economic crisis. A lot of programs are being cut in the Czech Republic and the theaters don’t have that much money to hire guest artists. The situation is not the best. But at least, I think we still have a very deep tradition of interpreting Slavic music. There is still quite a lot going on, in terms of concerts. We also have a number of fantastic Czech musicians who have had great careers abroad. But I’d say that the situation in the opera houses themselves, in the Czech Republic, is not the happiest, at the moment. OL - There is a very rich musical tradition in the Czech Republic, back to the centuries when the Austro-Hungarian Empire still existed. Mozart’s Don Giovanni had its world premiere in Prague. You frequently appear at two major international festivals, the Prague Spring Festival and the Concentus Moraviae Festival. I know the Concentus Moraviae Festival is devoted to music from the 17th and 18th centuries. Can you tell us a little more about these events and the roles they play in the cultural life of the Czech Republic? MK – Yes, I’ll rather speak of the Festival Concentus Moravie rather than the one in Prague, because I like very much the idea of bringing music to smaller places. In capital cities there are always great artists in attendance, so I find it important to take the music deeper into our country, which is very historical; we have an amazing number of churches and castles and places that are fantastically suitable for chamber music and Baroque music. This festival every year has very strong dramaturgy, and they concentrate in one theme and find perfect venues to fit with the music together. It’s a very nice summer thing, relaxed in a way, but also you can see how much the people in smaller cities appreciate music and the artists that are coming to their places. OL – One of your solo recordings featured the music of Dvořák, Janáček and Martinů – the three major composers of your homeland - with Graham Johnson for DG, and it won the Gramophone Solo Vocal Award of 2001. You are said to be the most successful Czech classical music artist in the world, today. Do you see for yourself a mission of diffusing the music of your homeland? MK – Yes, I feel very privileged for being able to do that. Of course, Czech music is something I grew up with; it’s my own language, and this is always the music you feel most comfortable with, in a way. I think there is quite a bit of a treasury there in our repertoire, especially in songs. Of course, for singers who are not Czech, they won’t be as familiar with the language, and it is quite a difficult language to learn! [laughs]. But I must say; now everybody knows the operas by Janáček, they play them everywhere, and I’m always stunned to see how fantastically my non-Czech colleagues can sing in the Czech language. There are lots of people who do it brilliantly. But still, you know, to learn a Martinů cycle is still quite a challenge for people who don’t speak Czech, so I feel privileged and feel a sense of duty to present this music to people abroad. OL – Yes, it’s unfortunate that so many opera lovers know little about Czech opera beyond Smetana’s The Bartered Bride, Dvořák’s Rusalka, and Janácek’s operas. Last year, there was a revival of Josef Mysliveček’s opera, Il Medonte. Few people have heard of Mysliveček, yet he was a major influence on Mozart and an incredibly prolific composer. He wrote 26 opere serie, which is not a small output. Who are some of the other Czech composers that you feel have been underestimated or neglected? MK – I really would like for the world to know a bit more about Martinů. Everybody knows Dvořák and Janácek as our two greatest composers, and they are, obviously, but I think Bohuslav Martinů should be just as well considered. I recently did one of his operas, Juliette. There is a recording with Sir Charles Mackerras of fragments from it. This opera was written in Czech and in French, so it can also be given in French. I think it’s a raving masterpiece, and it deserves more attention than it has had. OL – Sir Charles Mackerras was such a specialist in Czech music… now that he is gone, has it been more difficult to carry on? MK – We have Jiří Bělohlávek who is an extremely famous Czech conductor and performs these pieces a lot, abroad. I think I could also name my husband [laughs] as someone who does a lot of Czech music, not only because of me, but he was probably the second person who conducted Osud, Janáček’s opera that is not very famous. He has conducted a lot of Janáček. This music is especially appreciated in England, I sometimes think, even more than in the Czech Republic, it’s paradoxical. My husband is probably one of the most prolific conductors of Czech music. OL – OK, so, let’s talk conductors. You’ve worked with some of the greatest; for example, Sir John Eliot Gardiner, Mariss Jansons, Sir Charles Mackerras, Bernard Haitink, Claudio Abbado, Marc Minkowski, Nikolaus Harnoncourt, and of course you’re married to one of the most brilliant conductors in the world, Sir Simon Rattle, with whom you have recorded extensively as well. OL – Yes, but let’s focus on a specific question that we’re always curious to hear about, since we are a website that specializes in opera, even though we also love non-operatic classical music. But regarding opera and conductors, what makes of a conductor, a good opera conductor? What guidance does a singer need, what are the characteristics in a conductor that make opera singers most comfortable to work with them? MK – Everybody is different, but what I like about the relationship between singers and conductors, what makes me feel comfortable, is first of all, to have trust. You know, some conductors like to control everything, and maybe sometimes they do it too much. Of course, they have to control the various elements of the orchestra and the singing in order to put everything together, but everybody does their best – both the musicians and the singers – when they feel that they are appreciated and that they can bring their own ideas and the conductor trusts them. A good opera conductor should understand the general singing technique, so that they won’t destroy the singer by making us repeat everything many times! [laughs] Also, they need to guide and to breathe together with the singer. Conductors who don’t do a lot of opera often forget to breathe with you. An opera conductor is a really good one if he doesn’t forget that thing – that we need to breathe! OL – Who are some of the conductors who do this particularly well? MK – There are some conductors I absolutely adore to work with. I love to work with Mariss Jansons, for example. I did a lot of great Baroque things with Marc Minkowski, he is someone I find very exciting. He is a real stage animal as well. He himself would like to be an actor. He understands the drama of it. He made Baroque music for me very lively, a bit out of this authentic interpretation. Sometimes some of the groups can be very strict. People have very particular ideas about how it was, in Baroque. For me, Marc brought very much life and spontaneity to it. OL – So, I take it, from this answer, that you prefer Baroque music in modern instruments rather than in period instruments, given that the period orchestras can indeed be very particular about how the music needs to be played and how it was played at the time? MK – No. I think that Baroque music in Baroque instruments, for me, is the best combination. First of all, there are different pitches. Some music was written in a specific pitch, and even if it is a half tone, you can feel the difference in the voice. And also, the period instruments have softer colors. Modern instruments are always very bright, very brilliant. But I love a lot more the sound of a flute that is soft and round. Especially the wind instruments, I find very exciting to match them to the voice. But you know, I’m not the type of person who will say that Baroque music can only be played on period instruments. I for instance work with a Canadian orchestra called Les Violons du Roy, which plays modern instruments, but they concentrate in Baroque music, and they play fantastically, in style! So this is what matters, if you feel the music right; the kind of instrument is less important. OL – What is your comfort zone, in terms of singing alongside instruments and orchestras that are tuned to different values of A? MK – Well, it depends. 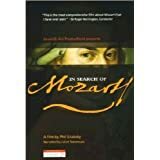 Vivaldi was written in A440, Handel in 415, and there was even a motet that was written in 390 something. Rameau, for example, is almost impossible to sing, it’s almost one tone higher on a modern instrument. Some instruments, like wind instruments, can only play in a particular pitch, so it really varies with the composer, with the time period, the place where the music was written. I think you can always feel what is right, what fits with the original intention, when there is a match between the music and the original instrument. OL - Some opera singers are taken aback by the pitch of period orchestras. Sir John Eliot Gardiner was talking to us about how opera singers tend to sing too high and when they get to perform with the Orchestre Révolutionnaire et Romantique which practices a lower pitch, it throws them off. I would assume that this is not a problem for you, since you’ve done so much work in Baroque music. MK – Not at all, I wouldn’t see that as a problem, no. OL – Let’s talk about your discography. You have a very extensive discography – we’ve counted 29 CDs. If one of our readers wanted to buy a collection of Magdalena Kožená essentials – let’s say, your favorite three or five – which ones would you recommend as particularly dear to your heart? MK – I think it very much depends on people's taste because there is quite a bit of different music. Still, I like my first CD in the international market, the one with Bach's arias. When you listen to old recordings you always think "oh, I would do this one differently," but I think there is something very pure and innocent when you record a CD at the age of 22. I was doing mainly Baroque music at that time, and it was a pure joy to make my first CD. Somehow I think it comes across very natural and in the spirit of Bach's music. So this is one I know people like very much and I kind of understand why. 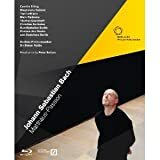 I personally of course tend to go for later CDs, like my last one with the Berliner Philharmoniker, where I sing Dvořák's Biblische songs which I like very much; it's quite rare to hear them with this orchestra instrumentation – it's normally done with the piano. But Dvořák did orchestrate the first five songs and they're not often performed this way, so yes, I like it. But it is very hard to choose. OL – So, you do listen to yourself. I once talked to a singer who told me that once his CDs are out, he never listens to them again. OL - Let’s talk about your beginnings. Your father was a mathematician and your mother was a biologist, so neither one was a professional musician. Yet music obviously was an important part of your life very early on. You wanted to be a pianist, but you broke your wrist when you were six years old and so you focused on singing instead. Six! How early did you begin taking piano lessons? MK – No, actually I started piano later, when I was eight. I was in the children's choir from the age of six. About this broken wrist, it wasn't exactly like this. This is a kind of journalist version because they find it colorful… [laughs hard] But if you want to know the truth, I was always singing since I was one, apparently I was singing before I could speak. I fell in love with the piano in Kindergarten. That was the main thing I wanted to do, but since my parents were not musicians and we didn't have much money, we didn't have a piano, it was complicated. The teachers said, "you have to do something for this girl because she really wants to do it." Then, I was tapping on some gas heater because it reminded me of a keyboard. I really gave real signals that I wanted to do it. So I started in a very professional children's choir with the Brno Philharmonic Orchestra, and we got a really strict socialistic training, and I loved it very much, but I never thought that I had a particularly good voice, I was very much tuned into becoming a pianist. When I was fourteen at the time when I entered secondary school, I wanted to play the piano and I broke my hand, so I tried singing with this thought that "next year I'll do the piano exam and then I'll switch to piano." I did the exam and passed it, so I decided to study both, which was quite unusual but I got an exception. So the first four years I studied piano and singing. But then, when I was sixteen I met a lute player, and we started to do Renaissance music, like Dowland, and pre-Baroque. Suddenly I was also a member of a madrigal octet and I started to earn a little money with singing, and I was only sixteen years old. Somehow I discovered that singing was in a way more natural to me. Also, I had less stage fright as a singer. As a pianist I always felt a little bit alone at the keyboard. With singing, I could see the people and kind of communicate with the audience; it made me feel more relaxed about it. When I was eighteen, I had to really decide what I was going to study next, and they I made, I think, the right choice to become a singer. OL – So, this initial encounter with the piano at a young age happened at school, not at home. MK – Yes. My kindergarten teacher played quite well children songs on the piano for us. Then this children choir Kantilená that I got into at age six specialized in Renaissance music and modern, contemporary music. So we did a lot of things like Orlande de Lassus, and a lot of Czech contemporary composers; it was very particular and unusual to have these two opposite styles. OL - After your studies at the Brno Conservatory and while you were still at the College of Performing Arts in Bratislava, you were a prize winner at the Mozart International Competition in Salzburg, and you and were chosen as "The Most Talented Performer of the Czech Republic". Then, your career took off pretty fast. Was it difficult in any way, or confusing, for a young lady to suddenly become famous? MK – Well, you are that young and things are going well, you kind of take everything for granted. I appreciated it. What was amazing is that I lived in this closed, socialist country, and couldn't travel. When I was sixteen, it was when the Velvet Revolution happened, and then with everything I had learned, I could suddenly go abroad. This wouldn't have happened to me if I were ten years older; I wouldn't have been able to suddenly become an international singer if I had started at a later age. When I look back at it from a distance, of course not everything is great about becoming famous so young, and there is some kind of truth in going through it in a slower process. This is the sort of thing you only realize later in your career, that maybe it would have been nice to have had more time to study this and that. But at the time, I was rather happy with what was happening, and was just taking it day by day. OL – I'd like to talk a bit about your recording career. An artist of your magnitude is in a stronger position regarding the recording industry than most colleagues. So, we understand that by this point in your career you probably can get DG to agree with any project of yours. What kind of interesting surprises can we look forward to, in the future? MK – Yes, I am of course planning for some recordings. I am still one of the few lucky people who have contracts with a recording company. We all know that it's not the greatest time. Who knows? I can't imagine people buying CDs in ten years. It's a very old-fashioned medium, already. But still, things are happening, and I'm preparing my next CD. Very recently, the idea came up of doing the repertory for voice and organ, because there is quite a large such repertory that is hardly recorded and is sort of fringe. There's André Caplet, there is Lili Boulanger, there is Bizet, and there are Hugo Wolf songs orchestrated by Max Reger; it's a large repertory that is hardly ever done so I thought it was an interesting project for recording. I have more projects; one is a pure Monteverdi CD with La Cetra which is a pretty specialized group playing old instruments. OL – How do you discover all this music? Do you do a lot of research? MK – I do some research. Also, in the field of specialized Baroque music, I ask people who know more about it than me, people who really spend time in archives, and then they advise me. OL - Your very impressive discography includes a number of opera recordings. Studio recordings of operas are much less common now than they were 30 years ago, and some singers even feel at a bit of a disadvantage in the studio. They need to have the theater, the audience, to really get inside their characters and the drama. What are your feelings about this? MK – Nowadays we hardly record any operas on studio. There are advantages and disadvantages. I always think that if you can do a live performance, there is this atmosphere, there is this adrenaline, but of course it's never that perfect. So it depends on what you are after. I think we are now a little bit forced to be perfect; everybody is cutting every note and people are used to having the CD as clean as possible, but often the live recordings are still for me, somehow, more human, and even if there are some intonation problems and some notes are less beautiful than they could be, it's still more exciting than to do this surgery stuff. OL - You came to perform Carmen relatively late in your career, for a mezzo. We’d be curious to know why it took you so long to portray that phenomenal character. Was the reason for the delay, a vocal one, or something to do with the psychology of the character? Or just, the opportunity took long to materialize? MK – I was offered to do it several times over the last fifteen years, but I never felt ready yet. I was waiting for a proper occasion, because Carmen can be done in very different ways. What we are used to in general is making Carmen this big, almost Italianate opera where everybody expects Carmen to have this huge chest sound. This is not who I am, this is not what my voice is. 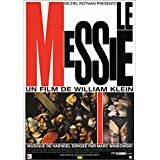 I don't think it's the only way, and don't think it's the way the role was written, because the Opéra-Comique where it was performed for the first time is a small theater and the singer had a light soprano voice, and she was more an actress than a singer. So it was for me a little bit like – I don't want to say it – cabaret style songs. If you go through the score, you'll see that Micaëla and Don José have very melodic lines like in Italian arias, but Carmen actually sings songs. She is out of the regular society, I see her a little bit as a cabaret singer. In a classical production with a traditional conductor, it doesn't come across this way, so, I was waiting for a production with someone who has the same opinion; it took some time [laughs]. OL – I did watch some YouTube fragments of your performance, and it was indeed interesting. 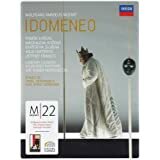 So, you've sung in concert arias from roles that are generally regarded as soprano parts, such as Despina – though it’s not that unusual for mezzos to also be cast in that role – and Vitellia. Are there other traditionally soprano roles that you feel would be suitable for your voice? OL - Your voice, like that of all singers, must be evolving. Where is it taking you next? MK – In a way I don't think my voice has changed somewhat dramatically but, yes, with maturity and the older you get, the voice gets a big richer and heavier. Now I feel more comfortable in Mahler than ten years ago. On the other hand, I'm also losing some things. Coloraturas that were extremely easy ten years ago – I'm still doing them and it's good to practice them because they keep your voice in technical good shape – but it's not as easy as it used to be. You gain something, you lose something but in general my voice is getting a bit richer especially in the lower register, so I can more easily do something like Brahms or Mahler. OL - In 2003 you earned the title of Chevalier de l'Ordre des Arts et des Lettres by the French government, so now you are a knight, just like your husband. Do you have memories to share with us, about the moments when you learned that you had been granted these prestigious awards? MK – Yes, I remember. At that time I was married to a French baritone, my first husband, who got quite irritated that I was becoming a French knight, not him. [laughs hard]. I thought it was a bit early. I was very young and of course I was very honored to be a French knight. I felt that I'd have to do for French music something special. It made me feel very happy. OL – And you do celebrate French culture, right? MK – I have to say, I do a lot of French music. In my recitals, I actually do mainly French and Czech pieces. 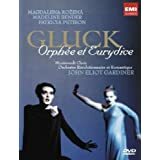 I do some Russian and German, but everybody is doing Schumann, Schubert, and there are lots of fantastic German singers who sing their music and I love it, but I think that French music deserves a lot of attention. It's harder for the public, because the emphasis is not on melodious tunes, but rather on the impressions, on the text. I was doing this recital in Baltimore two days ago and people found it hard. People would say, "this repertoire is not my kind of thing but I love your voice." I'd say to that, "you need some time to get into this repertoire; you need to listen to it maybe longer." It's more demanding for the public, but I don't give up, it's worth it, trying to make people love this kind of music as well. OL - Is it very difficult to raise a family when both parents are international music stars of the first magnitude, with busy schedules? MK – Yes, when it gets complicated is when your children start to go to school. I used to travel with my children. I have my younger son here with me, he is only four, I still can do it with him, but with the other one who is eight, you can't take him from school, so we try to organize our schedules in a way that there is always one of us in Berlin. But it's not so easy, not always entirely possible. But I think it's not the hardest task. Of course it's not easy to have a career and to have children, I would recommend it to every singer, even though sometimes maybe you don't give such fantastic performances because you haven't slept all night. But you get something that in a way is more important, which is the real life. You see the priorities more clearly, and what is most important for everyone and for me. If you have a family, even if things don't go the way you want, you always have someone to go back to. I think there is nothing sadder than singers who – or artists, not only singers – who suddenly finish their careers, they are in their fifties, and although they still have thirty years to live, there is nothing much happening. That must be very difficult, because when you are a famous artist attention is always on you, and you are also living from this energy, and I think the cut is very dramatic. It must be very hard to live through this situation. I love my job and I'm happy for this opportunity to do it, but it's nothing to compare with having family and children. OL – So, how do your children relate to your music and your husband's music? With genes like these, are your children Jonáš and Miloš very musical? MK – They are very musical, but they are not especially interested at the moment. Of course the little one is still very little, and we are not the kind of parents who would try to put violins in the hands of our children at age three and force them. I really believe that if you want to be a musician, you know it from early childhood. It's not you just like it, it's rather a must, it's a passion. I was just crazy for it, I didn't want to do anything else since I was three. My husband was the same. OL - Do they attend already their parents’ performances? MK – Yes, they like it, especially when it's opera, because they have the visual side. They loved Carmen, and thought that it was a perfect piece for children. [laughs] It's harder to bring them to Pelléas et Mélisande. [laughs] But Carmen, my son was really thrilled to see me killed at the end. [laughs] I was really afraid that he'd be scared or would experience some sort of trauma from it, but he said, "Oh mom, if you were so terrible to me as you were to Don José I would have killed you too!" [laughs hard]. OL – Fantastic! [laughs] We know Magdalena Kožená, the spectacular singer. How is Magdalena Kožená, the person, wife, mother? Would you please – given due respect to your privacy of course – give us a hint or a flavor of what your personality is like? MK – [laughs] That is a very difficult question. OL – Yes, I get that a lot. [laughs] But often, this question brings about some interesting answers. MK – [laughs] OK, I'll try to give you an interesting answer. Well, I like to laugh. It's a very Czech thing. We deal with every problem with black humor. I think I'm quite sarcastic; I'd say, and funny, in a way. Sometimes I have too big a sense of responsibility. I'm always on time; I prepare a lot for everything. Some singers can come to a pre-production and they don't know it. They learned it by the end, but they have this sense of learning it during the process. I always have to be prepared 200% otherwise I would be too nervous about everything. OL – What else do you like to do, other than your music, and being with your family? MK – I love nature very much. If I could choose, I would live somewhere in the countryside, in a farm. I love mountain-hiking. I practice Yoga a bit. I like to cook. I don't have much time but I like to read books and I like theater and paintings. OL – Coming back to what you said about the Czech thing, maybe what I'll say is a gross generalization, but like I said at the beginning, I was recently in Prague and interviewed three Czech artists, and talked with other people. Some of them told me that the Czech people are suspicious of everything and very pragmatic. It's the country in the world with the large proportion of atheists which constitute the vast majority of the population. They supposedly are weary of any sort of organized institution that would control their lives. Maybe it is in function of the oppressive political situation a few decades ago. Is this how you see your people? MK – Yes, very much like you said. It's very interesting, I thought about it many times, because we are not the only country that had a history of oppression by others, and the other countries that were in the same situation are very different, like Poland, and even Slovakia, with whom we were together for a long time – they are much more into religion. There is something about the Czechs – they like to be smart and do everything on their own. When Czechs emigrate abroad they don't tend to make communities with other Czech immigrants. People prefer to be on their own and deal with everything intellectually. There's just something purely Czech about that, and I think you get a hint of it when you read books by Hrabal or Kundera. You get very much this Czech spirit, and sometimes I find it even annoying, you know? Sometimes if you are abroad and you are a Polish person and somebody speaks Polish around you, you come and say "Oh, you're Polish, what are you doing here?" and people start a conversation. But Czech people, they hear someone else speaking Czech – and I found myself doing it too – they are going the other way! [laughs]. And this is how we are all like, and it's hard to explain, but it is true. OL – Thank you so much for your time. I'll be there tomorrow for the recital. We're glad that you're bringing this music to our town. MK – Oh, you're welcome. You did a fantastic job with these questions. Thank you very much! Bookmark our site and come back for more - several new and exciting interviews are always coming to Opera Lively - soon, tenor Giuseppe Filianoti (already recorded, being transcribed), and scheduled for the next several weeks, Frederica von Stade, Diana Damrau, Eva-Maria Westbroek, Maestro Riccardo Muti, Maestro Yannick Nézét-Séguin, and Jessica Pratt. Excellent interview! I have admired the artistry of this singer for many years now, and it was a treat to read her responses to Alma and MAuer's questions. Thanks guys!